DAVE VORLAND: It Occurs To Me — Cameras On Parade! I’ve likely invested more money in cameras over the years than I should have. (I believe in the Irish saying “There are no pockets in a shroud.”) I’ve got a large inventory, including my favorite, the Canon 5D Mark III and an assortment of lenses. More on my collection later. As I’ve gotten older, I’ve found that the Mark III feels heavier than it once did. 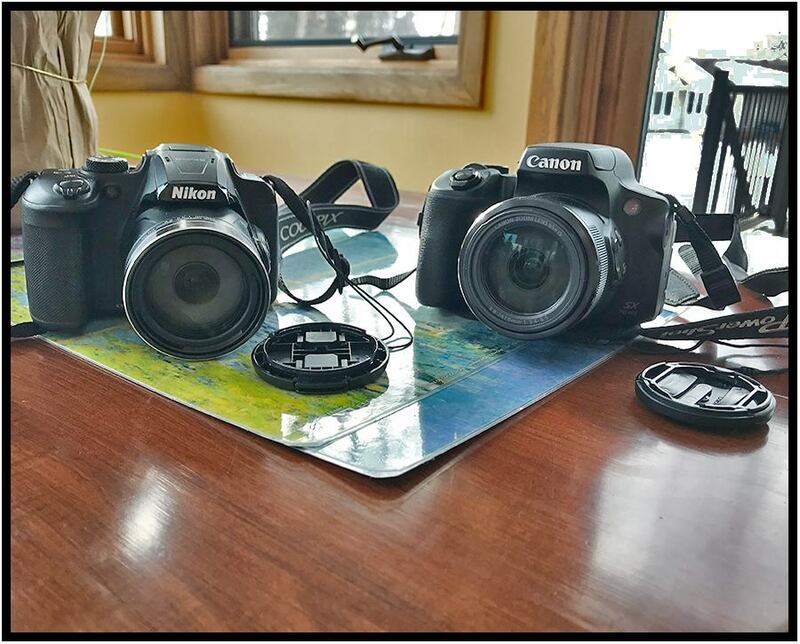 That’s why I invested in a lightweight Nikon Coolpix B700, shown in the image above along with my new Canon SX 70HS. Problem is Nikon images are difficult to edit with my current version of Photoshop. So I gave myself a Christmas present this year: Canon’s newest smaller size DSLR. After several months on a waiting list at B&H Photo, the SX 70HS arrived just in time. Santa must have thought I was a good boy in 2018. At my age, what other choice of behavior do I have?